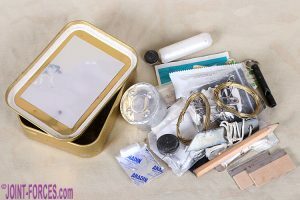 A Survival Tin, carried by fast jet aircrew and SF operators alike, takes up little space and weighs next to nothing but could potentially save your life, writes Bob Morrison. It is over twenty years since I started carrying a Survival Tin, not long after I took on the job of editing the now sadly gone COMBAT & SURVIVAL Magazine, and though I have not yet needed to use it in a life or death situation I have opened my tin up many times to solve a minor problem in the field. Over the years I have tweaked the contents – adding, removing or replacing individual items – but the basics are still there just in case I should ever need them. 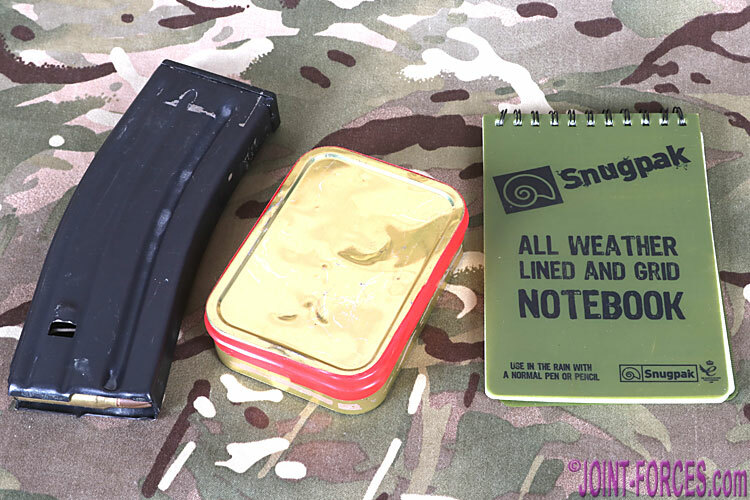 For years I have been saying that Murphy’s or Sod’s Law dictates that the Survival Tin is one of those practical little things which will probably only really be needed when one is not carrying it, so I try to carry one at all times when off on assignment. This is the same logic which dictates that I always try to sit at the back of the plane (Seat 29F often has my name on it) as aircraft never fly backwards into mountains – on the face of things it’s illogical, and it is difficult to convince others why I do things but, deep inside, I know I am right to do this and just occasionally circumstances conspire to prove me right. This job takes me to interesting places – between early November and late February I should have touched down on three continents, insha’Allah – and the law of averages suggests that sooner or later I may well end up in a survival situation as a result of my lifestyle. Hopefully, having both flown in an aircraft which lost an engine over sub-Saharan Africa and touched down safely and also landed in a chartered private jet in horrendous stormy crosswinds that saw the runway approaching through the port passenger windows until a last minute pilot correction just feet off the ground slammed us onto the tarmac, I have fulfilled my statistical quota of in-flight drama… but I still carry my survival tin (though unfortunately air traffic regulations mean it has to go in my hold luggage). Where my little tin of goodies often comes into its own is usually in much more mundane circumstances, such as photo assignments off the beaten track. In theory it contains almost everything I should need, other than a rudimentary shelter, to give me a chance of surviving the initial stages of a potential catastrophe; this may sound a bit dramatic, but the first things a survivor needs are hope and belief and the worst thing to fall into is despair. 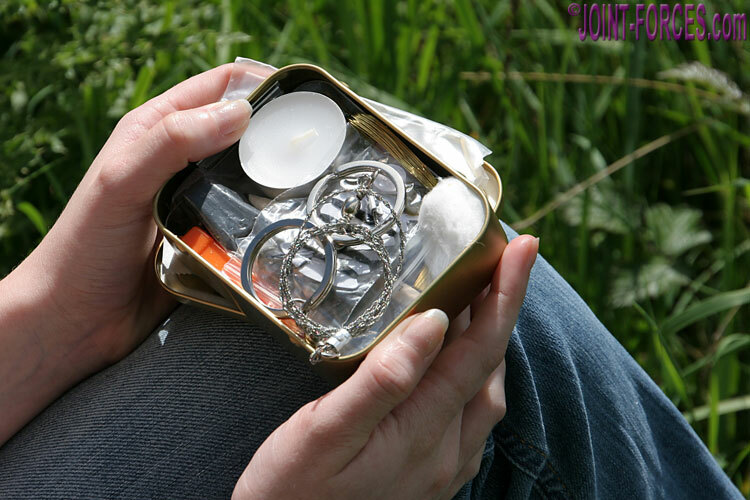 Nothing is more disheartening than the loss of belief you will come out the other side, but simply having on your person a means of starting a fire, a way of signalling to rescuers and the basic equipment to allow you to potentially catch food, along with the confidence to use these, should lift your spirits and give you the will to start surviving. Having for many years carried the same battered old survival tin with me, from Arctic Europe to Arab Empty Quarter to African Sahara and High Veldt, and on more than the odd occasion having actually had to use one or two of the contents, this brings us to the First Rule of the Survival Tin: always restock any used items as soon as you can to ensure that next time you have recourse to use your tin the one thing you most need is not missing. Rule Two is: familiarise yourself with both the contents and their uses and read any instructions, as it would be dumb to be stuck in a survival situation with the means to survive but no clue about how to use the equipment at your disposal. 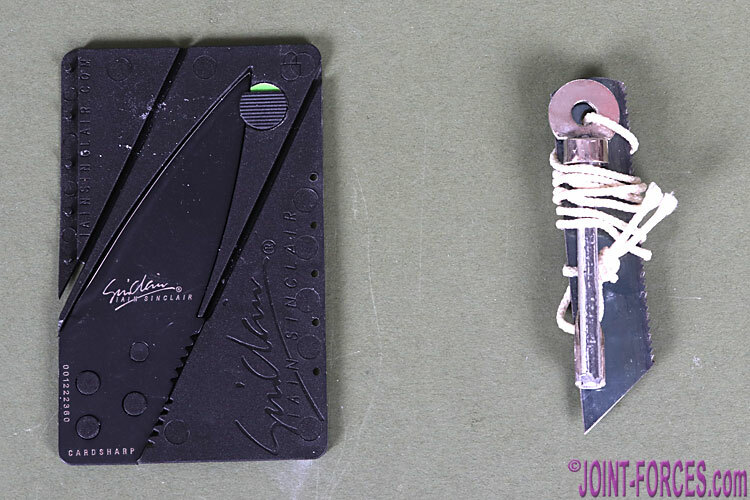 It probably also makes sense to buy a good survival book and there are none better than John ‘Lofty’ Wiseman’s SAS Survival Handbook (ISBN:978-0008133788) which has been regularly reprinted over the last 30 years and has sold in the millions. 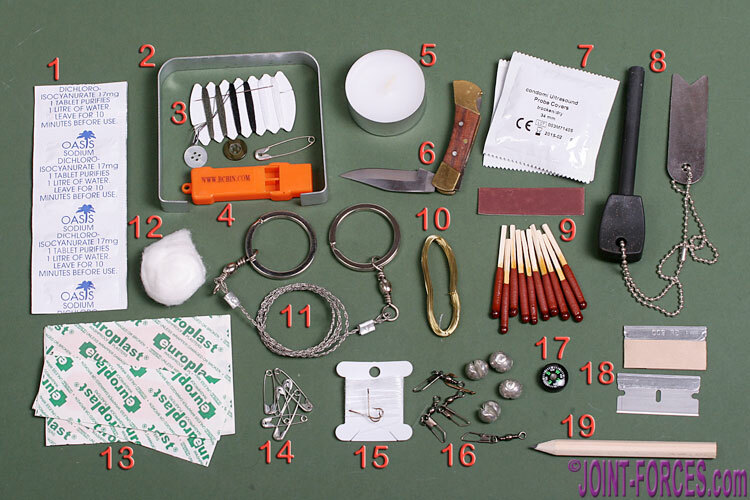 My tin, with modified contents, is an old and battered version of the Military Survival Kit (MSK) produced by BCB International of Cardiff, variations of which are widely available through outdoor pursuits stores and military surplus outlets under their BCB Adventure brand name. 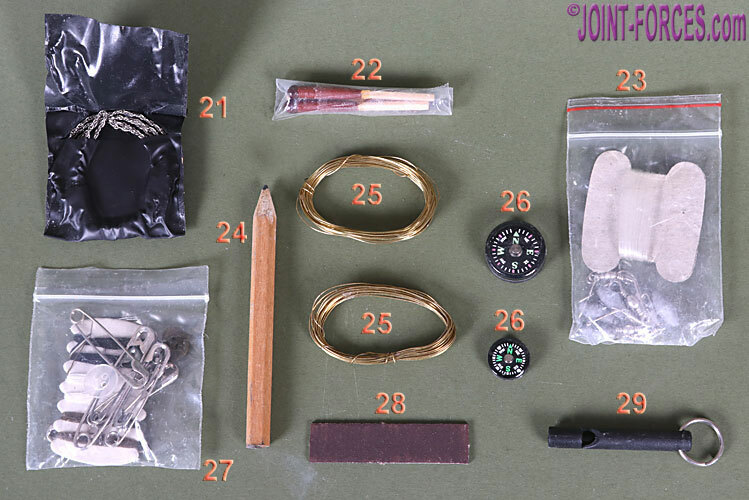 I have included an annotated image (above) of the original contents of a BCB MSK from eight years ago and then focussed on the current contents crammed into my old tin, which last travelled with me out to Egypt in December. The use most items in the photos are put to should be self-evident, but a couple might need a little bit of explanation to those unfamiliar with the survival topic. 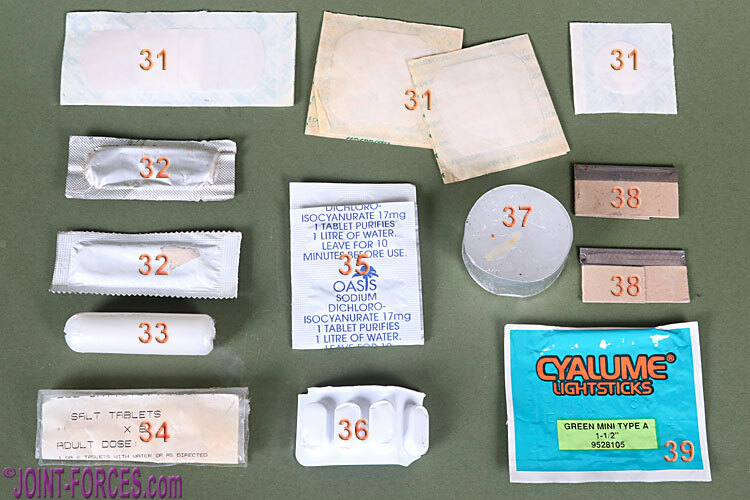 Condoms (non-lubricated) make ideal water containers – carry a filled condom inside a combat boot sock for added strength. Small tampons – not seen in the original 2011 photo, which has cotton wool instead – give plenty of tinder when teased out and will catch a spark from the flint & steel. 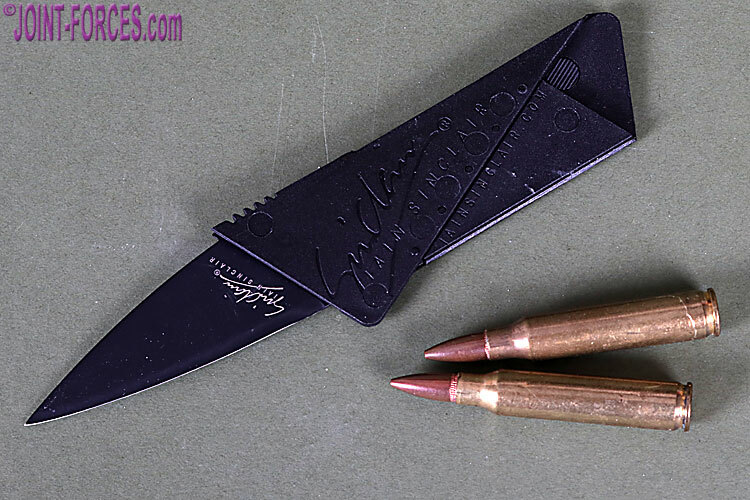 Talking of the latter, I carry the older type rather than the modern FireSteel as it is both smaller and the striker is a short length of hacksaw blade with a point on one end – when selecting contents always think of alternative uses. 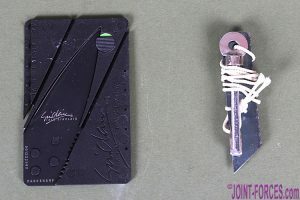 One unusual item which I added to my tin some time back is the credit card sized Sinclair CARDSHARP, which folds up to give a decent spearpoint knife that can be used for gutting fish and preparing game as well as for general slicing and whittling tasks. This is much better for these jobs than the stiff-backed razor blade found in most pre-packed survival tins and it could even be lashed to a long straight sapling to give a spear for hunting and fishing. 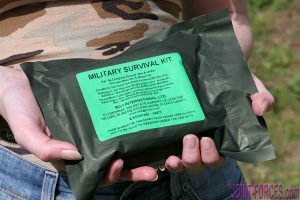 BCB also produce the RAF issue Survival Kit Individual Mk.4, carried on fast jets, which contains both a miniature survival tin and items to allow a downed pilot to create shelter from the elements. We will take a look at one of these in a future feature. *If you came to this page from Facebook or Twitter please Share or Retweet. Thanks.